Nigerians won't kill us with laughter. 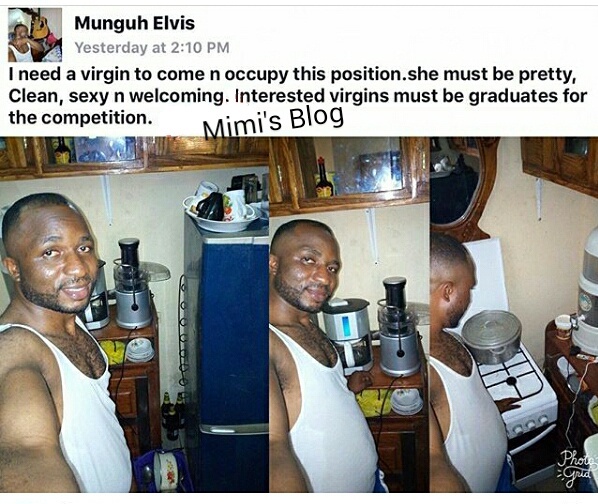 The above Nigerian man, Munguh Elvis, took to his social media page to show off his kitchen and advertise his need for a lady who would come and occupy it. The Lady must be a virgin and a university graduate, he said. The search has begun, interested and qualified ladies should please apply! Lol.